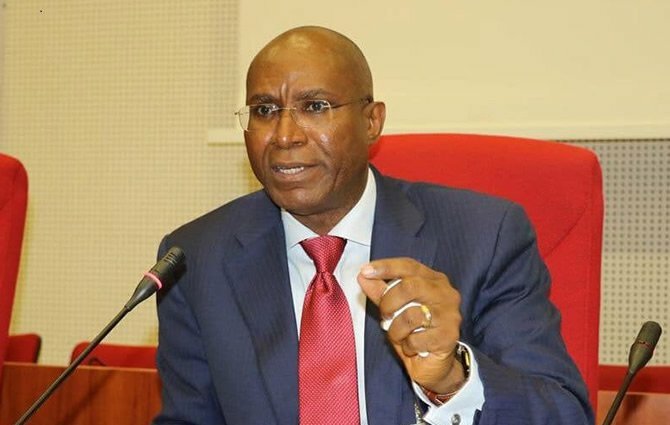 The lawmaker representing Delta Central in the National Assembly, Barrister Ovie Omo-Agege, has vowed that no lawmaker remotely connected with Senator Bukola Saraki will be allowed to hold leadership of the 9th Senate. Omo-Agege stated this while giving an insight into how the next leadership of the National Assembly would be selected. Omo-Agege lamented that those he described as Saraki’s relegates regime made sure all agenda of the government were shut down for almost three of the four years of Buhari first tenure. Independent quoted the lawmaker as saying the move to shut out Saraki’s men was necessary to avert a repeat of events of the out-going Assembly. Omo-Agege said that President Buhari, as leader of APC, would consult with the party’s caucus on who should emerge Senate President. “For that reason, we are saying, it is the party’s caucus that will meet in consultation with Mr President and decide and recommend for the leadership position. And Mr President is the head of that caucus. “We’ll no longer allow relegates to govern the National Assembly. When they did the last time, you saw what happened,” he stressed.